These four exercises provide the basis for success at any level. 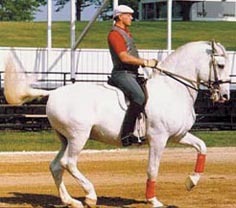 Executed to perfection, riders become more correct and focused while horses become more obedient, flexible and move with improved agility and balance. They may be practiced as a relaxing intermission between higher level movements or as schooling exercises for the lower level horse and rider.